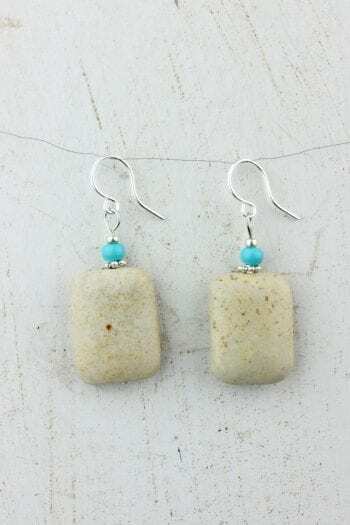 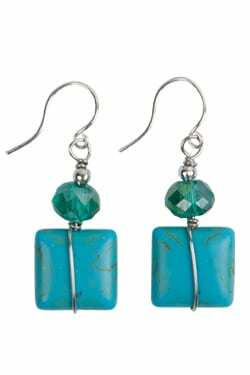 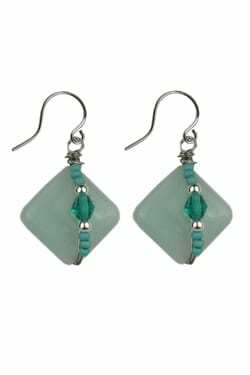 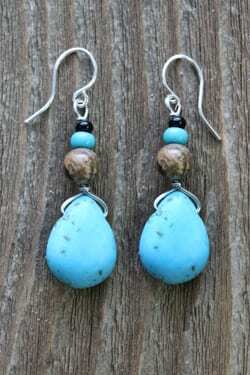 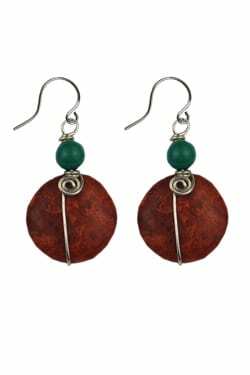 Green Magnesite Handcrafted Earrings Made in USA.Green Magnesite Handcrafted Earrings Made in USA. 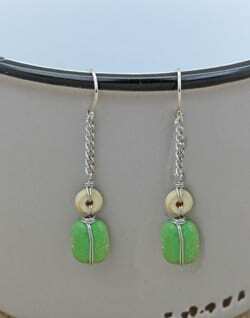 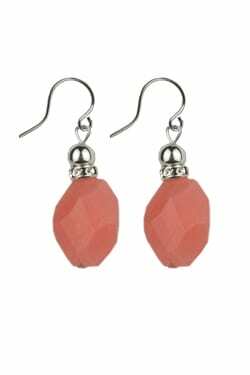 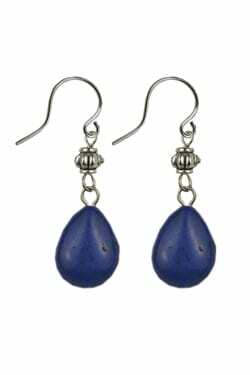 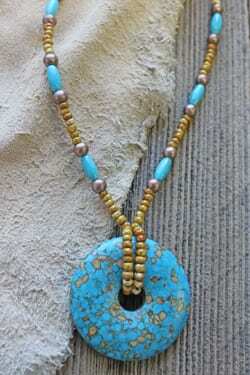 This little gemstone is wire wrapped with wood dangling on a silver chain. 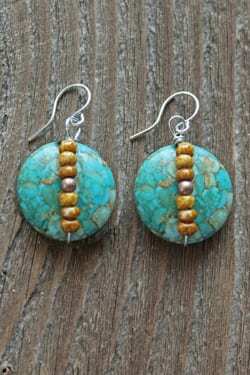 The ear wires are hypo-allergenic for sensitive ears.